Big Data Predicts Centuries Of Harm If Climate Warming Goes Unchecked It took about 30 teams of scientists worldwide, using supercomputers to churn through mountains of data, to see patterns aligning of what will happen decades and centuries from now. The heart of NASA Center for Climate Simulation in Maryland is the "Discover" supercomputer. The software programs behind climate simulations typically have 1 million lines of code, or more. As diplomats argue in Paris over a new global agreement to fight climate change, their work is driven by scientists' dire predictions of how unchecked warming will transform our planet decades and centuries from now. But how can researchers be so sure of what will happen that far off? The Earth is big and its climate is complicated. To understand it, scientists turn to big, complicated climate simulations that run on supercomputers like the one at NASA's Center for Climate Simulation in Maryland. There, in a windowless room full of what look like hulking black monoliths, thousands of linked computers crunch away on a mind-boggling number of numbers to come up with predictions about how varying amounts of greenhouse gas emissions will affect our climate's future. "If you took everybody on the face of the Earth — all 7.3, 7.4 billion people — and you had them multiply two numbers together every single second for 145 hours, total, that's what this entire computing center can do in one second," says Dan Duffy, the high-performance-computing lead at this center. And when the center runs a climate simulation, he says, it can take months for this powerful beast to spit out an answer. The computer programs that researchers use typically have 1 million lines of code or more. This NASA video shows the magnitude of the shift in global temperatures that climate modelers predict, over the next century, if carbon dioxide concentrations continue their unabated climb. The temperature changes shown here are relative to the average temperatures observed from 1971-2000. Plus, Duffy says, "we store large amounts of climate data." If you had the equivalent amount of storage for a music playlist on your computer, he explains, "you could have a music playlist that was 190,000 years long before you would have to listen to the same song twice." One of the scientists who rely on this supercomputer to make predictions about climate change is Gavin Schmidt, director of the NASA Goddard Institute for Space Studies in New York City. His office is right above the famous corner diner from the TV show Seinfeld. On the wall next to his desk is a big blackboard that's covered with equations. These scientific scribbles were left by the last guy who worked here, a famous climate change researcher named Jim Hansen, and this is the language these folks use to talk about everything that makes up Earth's climate. A climate model, says Schmidt, is best thought of as an encapsulation of everything that scientists can go out and measure. 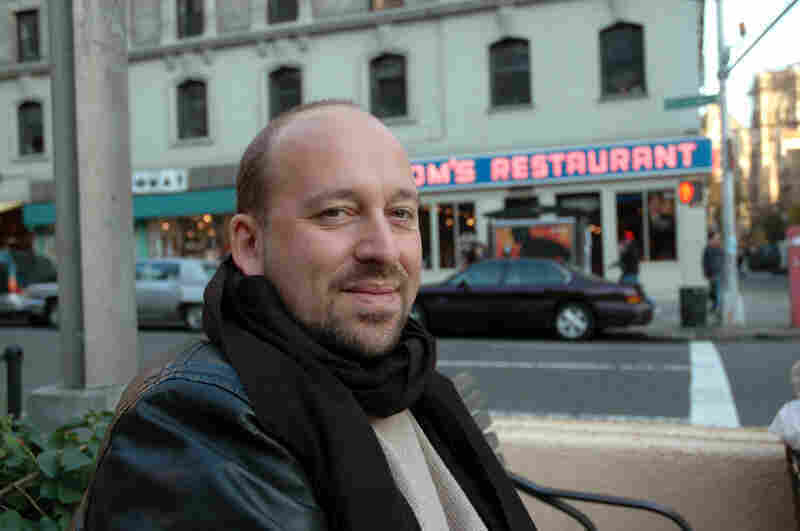 Gavin Schmidt, a climatologist at NASA's Goddard Institute for Space Studies in New York City, studies why and how Earth's climate varies over time. "We can go and measure how much sunlight reflects off the sea ice," Schmidt says. "We can go and measure how much water you need to have in the air before you form a cloud. You can go and measure how the winds affect the ocean currents, right? Those are physical processes that we've been observing for hundreds of years. A climate model encapsulates each of those processes, the ones that we think of as being important, and it links them all together." Predicting the future of the climate is much different from predicting the weather, says Schmidt. "Climate is very much the ensemble of all the weather states," he explains. "It's the fact that it's warmer in the summer than in the winter. It's the fact that you have wet and dry seasons in the tropics. These things are predictable and their changes, if the signal is large enough, are also predictable, even though the individual weather is not." Researchers created the first primitive models of Earth's climate back in the 1960s, on computers that used punch cards. 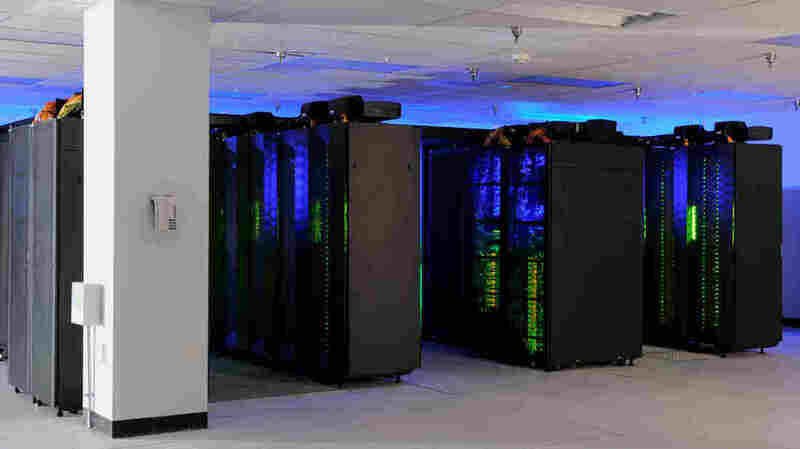 Schmidt says there are now around 30 different groups worldwide doing climate simulations on supercomputers. And the consensus of these teams is that if greenhouse gas emissions keep rising, the world will look different. On his desktop computer screen, Schmidt pulls up one graphic of the globe that's color-coded for temperature. As the years tick up into the future on a counter, the globe gets redder and redder. "You're looking at a situation where there's very little ice left in the Arctic; you are looking at temperature changes on land that are the equivalent of, you know, moving south by about a couple thousand miles. The climate of New York would have the climate of Miami," says Schmidt. How confident does he feel about those kinds of predictions? "That's a great question. There's ways that you can build confidence in these things," he says. These simulations are able to basically re-create the Earth's climate as we see it today. "What you see are patterns in the models that reflect what you see in the real world. We know we must be getting something fundamentally correct in order for that to happen." He rattles off a long list of other reasons to feel confident. Can these models re-create past climate events like the last ice age? Yes. Do models created independently by different groups show similar patterns? Yes. Do the models make pretty good relatively short-term predictions, when that's possible? "They're not too bad," says Schmidt. "What you have is lots of lines of evidence that build credibility in these simulations." Every detail won't be perfect. Researchers don't claim that these models will get everything exactly right. "Nonetheless, they make useful predictions," Schmidt says. Whether the world actually will use those predictions — that's what diplomats are hashing out in Paris right now.